— Little Rock, Arkansas, classical piano, & a female vocalist are hardly the first things you think of when describing a hard rock band. Evanescence is in fact that and more. Their ethereal hard rock sound was one of the first of it's kind to hit mainstream radio in the early 2000's. 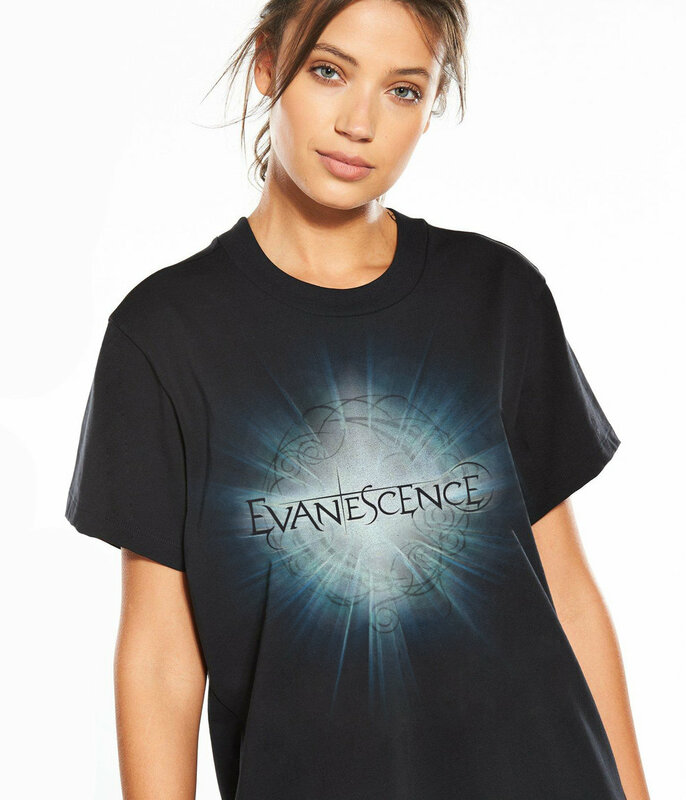 This tee visualizes that "ethereal" and gothic look that the band has become so synonymous for.